Spiral ISO 40 LH insulated high-speed doors are the best quality products of our range. This door is just a different version of Thermicroll Spiral ISO 40 and is specially designed to be installed even when the upper space is reduced, while ensuring the same performance in terms of thermo-acoustic insulation, speed and safety. 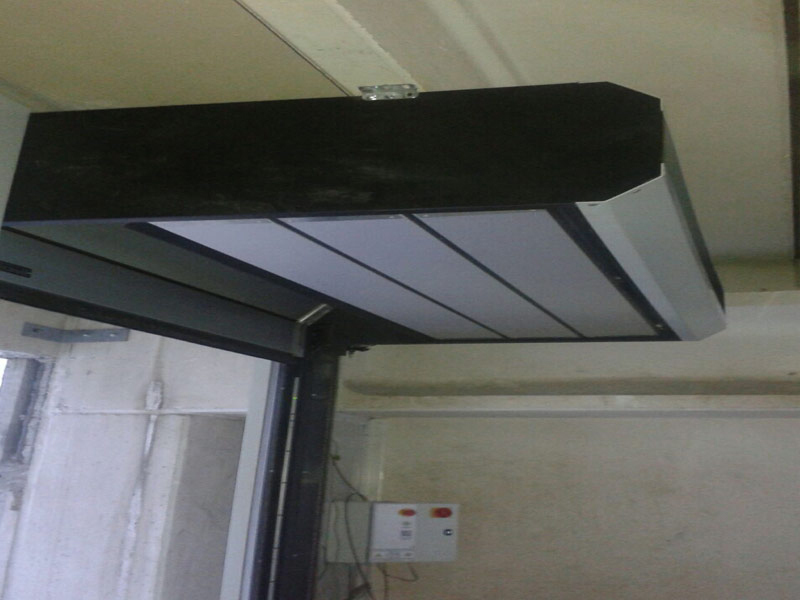 The panel rides parallel to the ceiling without using any support anchored to the ceiling or pre-loaded spring system (unlike traditional sectional doors). This ensures long durability, up to 3 million open/close cycles.